Twin brothers Luke and Aaron Miller could not lead more different lives. Aaron, a rising political star who manages the campaign of a man many believe will be the nation’s next president, embraced his father’s Jewish heritage. Luke, on the other hand, honored his mother’s faith and entered the Catholic priesthood. When Aaron and the candidate he supports are killed in a bombing at a presidential stump speech, the Miller family’s core is destroyed. Fear of a terrorist threat grips the nation, but the FBI and the press seem more focused on the death of a presidential candidate than on the other innocent victims like Aaron. Suddenly, Luke begins to feel the lure of a vengeance that is stronger than the bond of faith. As he falls deeper into the abyss of political intrigue that surrounded his brother’s mysterious professional life, Luke is tempted to break his promise to God and reassess his own sense of right and wrong. 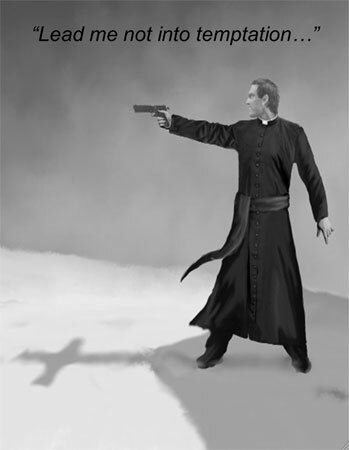 What sort of priest carries a concealed weapon? How can he judge others when he himself has strayed so far from his own flock? Luke’s comfortable life in Boston collides with the faraway world of the Middle East as he sets out on a journey to unravel the truth behind Aaron’s murder. Will he take an eye for an eye? In A Prayer for the Devil, Dale Allan weaves a fast-paced murder mystery wrapped in a thoughtful meditation on the intersection of faith and justice. Luke’s journey through his own darkness propels him to a shocking ending that will leave readers breathless.